This documentary, which was first released in 1974 and directed by Peter Bogdanovich, has been updated and restored, with added footage and interviews with the actors, writers, other directors and generally anyone who has been influenced by the works of the legendary Director, John Ford. Exploring films such as “Stagecoach”, “Young Mr. Lincoln”, “Grapes of Wrath”, “The Quiet Man”, “How Green Was My Valley”, and “”The Man Who Shot Liberty Valance”, along with a score of other films, gives you an idea of just how diverse John Ford’s films are. A gruff man by nature, he forged relationships with some of Hollywood’s most enduring actors. The 1969 interviews with John Wayne are particularly interesting, as are the ones with Henry Fonda and James Stewart. The stories they relate are at once funny, informative and still manage to give us a close look at this most unusual man. Also weighing in on the life of John Ford are some current directors who were in their 20’s when this film was originally released in 1974. Both Steven Spielberg and Martin Scorsese talk about the influences of Mr. Ford’s films on their early years as movie fans, and the later influence that these same films had on their own careers as Directors. The interview with Mr. Ford, done in the desert at the site that served as the backdrop for so many of his films, is a wonderful insight into the man. His monosyllabic answers to complex questions underscore his irascibility. He knew he was difficult. He knew he was temperamental. That was the best part of the man, his unwillingness to compromise who he was. He dressed in Safari clothes and smoked huge cigars. He once knocked out Henry Fonda. This was a most unusual man. And it shows in his films. The film also delves into his World War Two years making wartime films to stoke the fires of victory. He was wounded at the Battle of Midway while making a documentary film. He was also on the beach at Normandy, recording the landing. That film would be used for training in future amphibious landings. He served in the Navy holding the rank of Commander. 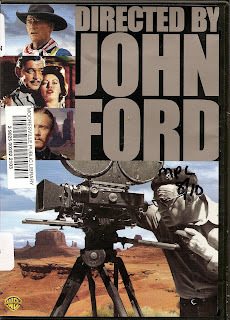 A four time Oscar winning Director, Mr. Ford was one of the early proponents of location shooting and the long shot, in which the star is filmed with a vast panoramic background. Born John Michael Feeney in Maine to Irish parents, he moved to Hollywood in 1914, following on the heels of his older brother Francis Ford, who was already making films for Thomas Edison. Francis went on to become a Director in his own right. John adopted his brothers stage name of Ford and made his screen debut in 1914. In 1915 he played a Klansman in D.W. Griffith’s “Birth of a Nation.” By 1917 he was a Director, and by the time talkies made their debut he had over 60 films under his belt. As his career rose, his brothers declined. You can see Francis Ford in “The Quiet Man”, he plays the old man in the tavern. 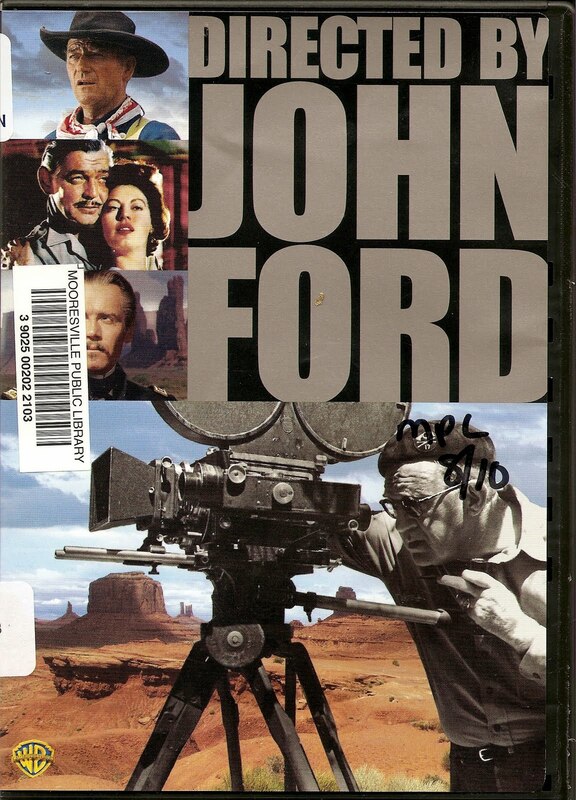 John Ford made some of the most beautiful movies ever to come out of Hollywood. Look at “How Green Was My Valley” with Roddy McDowall. The scenery is beautiful; the camera captures it all in broad sweeps, as well as tight close-ups. His direction of the actors is equally mesmerizing, making us believe that we are in Wales. Unlike “The Quiet Man”, which was shot on location, “How Green Was My Valley”, which swept the Oscars that year (1941), was not shot on location, but instead it was filmed in the hills outside of Hollywood due to concerns about the war in Europe, which we would soon join. The magic of that film is timeless, as is the message. One of the best things about John Ford’s films is the incredible talent that was available to him through the old “studio contract” system. His “stable” included such notables as, Harry Carey, who appeared in over 25 of Mr. Ford’s films. There were also the legendary character actors such as Thomas Mitchell, Arthur Shields, Barry Fitzgerald, Maureen O’Hara, John Wayne, Vera Miles, James Stewart, John Qualen, John Carridine, Ward Bond , Victor McLaglen and Richard Widmark. These actors and actresses were sometimes referred to as the John Ford Stock Company. This is an engaging and entertaining documentary on one of the greatest film makers of all time.